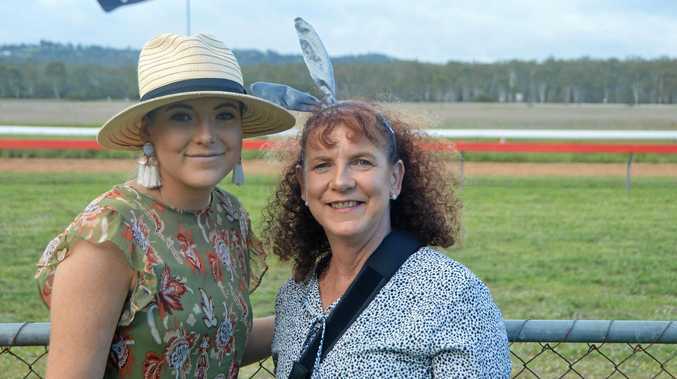 AFL Darling Downs development coordinator Tasman Myles believes the introduction of the AFLW competition has had a flow-on effect to female participation at the grassroots level. Myles was in Kingaroy last week to help kick off the South Burnett Auskick program and, among the 40-strong crowd of eager kids, he was happy to see a strong contingent of girls getting involved in the oval ball game. "(Australian football) has see massive growth (in Queensland) especially in the last four or five years, and again especially with the women's AFL," Myles said. "You can see there's lots of girls getting involved, and today to have girls making up over half of the group is fantastic to see." Thursday's session was the first of the AFLDD's eight-week program, designed to introduce kids to the basic skills of Australian football in a fun and safe environment. Each week kids are introduced to a new essential skill - be it kicking, handballing, marking, or bouncing - which culminates during the final week of the program in a parents versus kids modified match. "The kids will learn all the fundamentals of AFL and we do that by introducing them through skill games," Myles said. "It all leads up to our last week where we play a big game of kids versus parents. "The kids definitely (enjoy the games), the first week playing bomb the parents is a big hit, as is the last week where they get to tackle mum and dad. "They also get a chance to use the skills they've learnt over the eight weeks and put them to use in a game scenario, which is important as well." 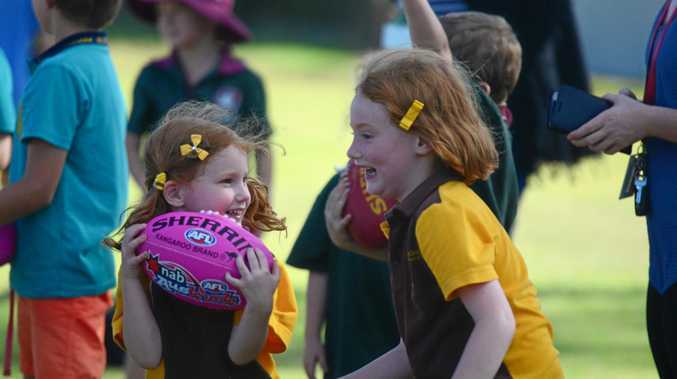 The South Burnett Saints are hoping to field junior sides in the coming years, and the Auskick program is a great way to introduce kids to the sport. They hope the program will help funnel kids through the junior ranks at the Saints and keep the club thriving; a strong senior program is only possible with a junior program feeding into it. Auskick will run Thursdays from 4-5pm at Kingaroy and Nanango centres until March 23.